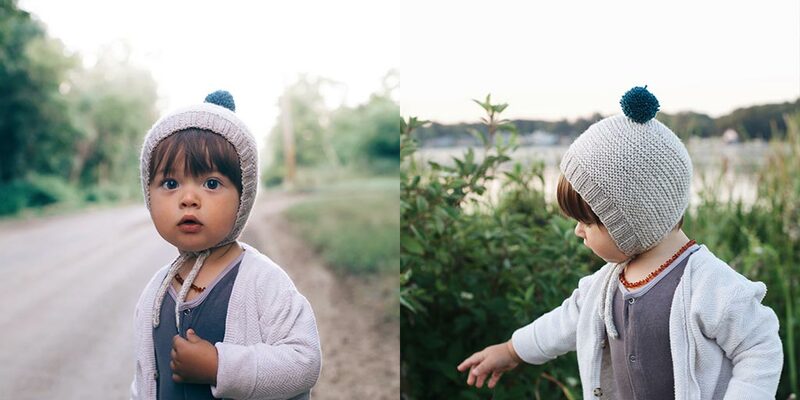 New pattern: And today I’ve released my newest design for Little Woolens, the Weston hat pattern. 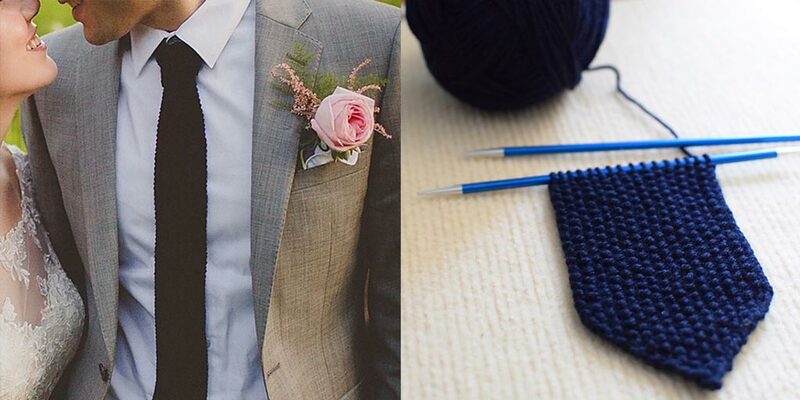 I first came up with this design when I was pregnant with my son and over the years I’ve knit countless variations for friends and family…waiting to take the time to write the pattern and share it with all of you. It’s the perfect quick knit, and just in time for Fall. You can find it on Ravelry, search for the Weston hat. Giveaway: The winners of last weeks giveaway are Branwynne, Amaia and Annie, you’ve each won a bag of various Habu yarns to experiment and play with. Congratulations! 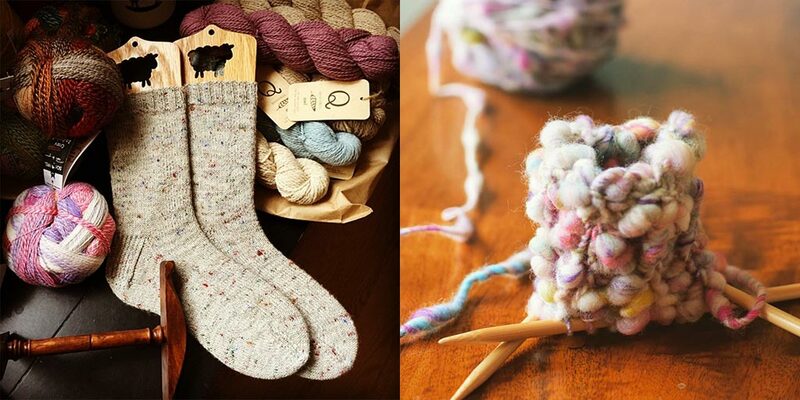 This week’s giveaways are sponsored by Sunday Knits and Susan Anderson. 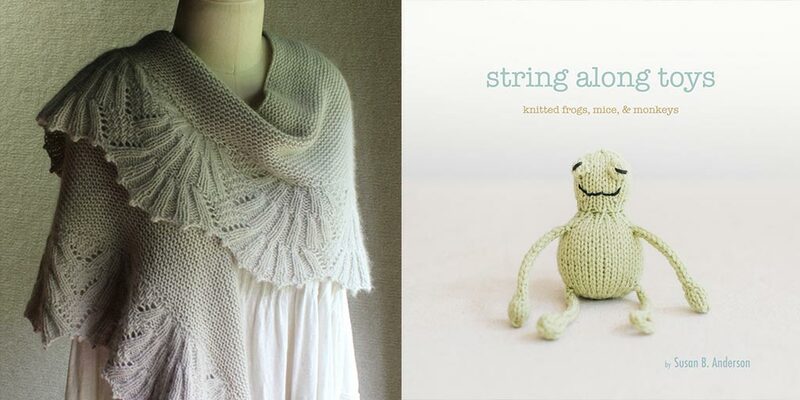 Sunday Knits is giving away the Dancing with Bears Shawl pattern and kit and Susan Anderson is giving away a pdf copy of her most recent toys book String Along Toys made with Quince and Co yarns. To enter and be one of the winners, leave a comment on this post. I’d love to win! and I love Carol Sunday’s patterns, too! Your Bonnet (and the kid wearing it!) is so sweet! Thanks for another great episode! Sunday Knits yarn is great great stuff! 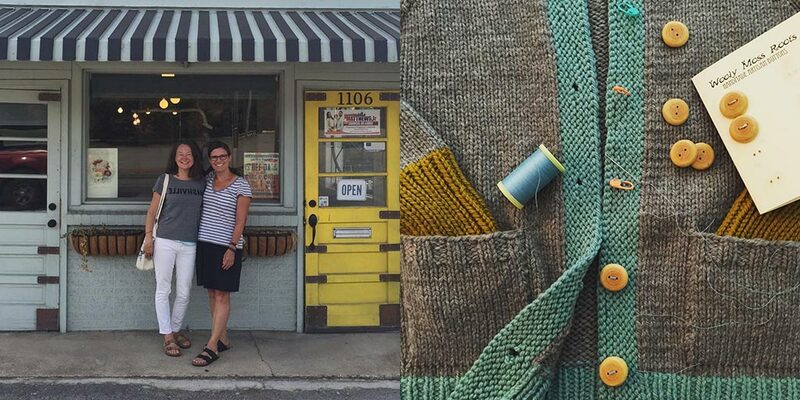 Susan Anderson is a great person, teacher, and knitter. I really enjoyed the class I had with her at Vogue Knitting in Chicago. Great episode! 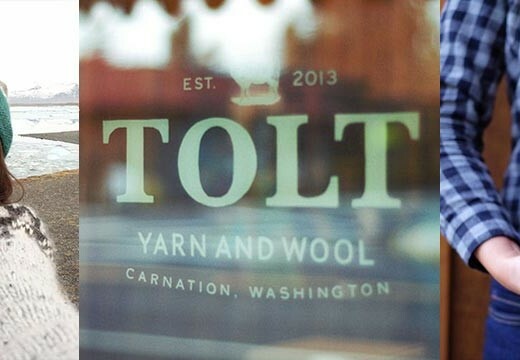 I recently got home from a trip to Vancouver and wish I could return for Knit City! Oh how lovely it would be to win EITHER of these awesome giveaways! Will be relishing this podcast tomorrow while I knit. Thank you Ashley for all the wonderful stories you share with us! Enjoyed listening to Susan’s stories of how she became interested in knitting! I’ve always admired her ! She’s a wonderful, talented knitter!!!!!! Wish Susan’s podcast came out more frequently. Love hearing her voice and she always has something relevant yo say! Great podcast, thanks for the opportunity to win some lovely items! Susan is such an inspiration and truly humble lady. I will miss her this September at the Maine retreat! What a treat to hear this great interview of Susan Anderson! Thanks for your continuing work, Ashley. Wonderful show with Susan Anderson. I love how relaxing and unhurried your interviews feel. Thanks for the giveaway opportunity! I love Susan’s patterns, blog and podcast. It was great hearing more of her story. Thank you so much for spotlighting Susan – I love her optimism and generousity of spirit- and, of course her patterns! Such a talented and nice lady! Love your podcast and Susan B Anderson!!! Thank you Ashley for another great story. I love listening to your podcast. It’s encouraging for me as a mom of young kids to hear stories of women with small children finding time to be creative and pursue their passions. Love Dancing Bears! Would love to win. Thank you!! What a delightful episode. Congratulations, Susan, on all you have achieved. Wonderful episode and love the little Weston hat, adorable. I soaked in Susan’s stories like a sponge this morning (while knitting of course!) It’s so inspiring and mind expanding to learn of other’s journeys with fiber arts. Thanks for such a lovely podcast! Susan B Anderson is so freaking awesome. I love her patterns! So great to learn more about her! And so is the little bonnet and the cute child wearing it. Enjoyed the podcast. I love Susan’s enthusiasm and sweet spirit. I love all of Susan’s toys and it was interesting to her the story about Susan’s first Craftsy filming. I have taken that class and would have never known that they were boiling! Such an enjoyable listen. I’ve knitted Susan’s patterns with one of her Craftsy classes. I learned new techniques and had a wonderful toy to gift when I was finished. What a great episode! I’m excited to try some of Susan’s Craftsy classes. My sister and I knitted a cupcake hat for our oldest niece which was our first “interesting ” knitting project we ever did and it happened to be one of Susan’s patterns. So happy to see here on this week! I would love either prize! Both prizes are so lovely! Thank you for the chance to win such lovely giveaways. She is so wonderful, thanks for this interview! So many smiles here! I’ve been enjoying Susan’s blog for years. And also drooling over Carol’s kits for years. AND, it was a blanket pattern leaflet featuring “bear claws” that made me learn to knit! Thanks for this interview! Susan is so lovely. Her patterns are just enchanting and she is such an inspiration. Loved listening to Susan’s interview – and what lovely giveaway prizes. I enjoyed this episode with my morning coffee and my most recent sweater project. Thanks for helping make my Sunset morning so pleasant! Itty Bitty Hat’s from Susan B Anderson was my first knitting book. So many adorable baby hats. Love Susan’s new Dancing Bears Shawl pattern. Would love to win the kit and string along toys book, so fun!!! Susan B. Anderson was such an inspiration to me early on in my knitting days & she continues to inspire with her wonderful patterns for kids. I have made so many gifts using her lovely designs. I loved hearing her story of how it all began. Here’s to many more successful years of knitting, Susan! A lovely episode this week! Susan’s patterns helped me learn to knit more interesting patterns than plain scarves and hats. I would love to win her new pattern book so I can make some of the toys for my baby niece. Cheers! What a lovely interview with the amazing Susan B Anderson! Thanks. Another amazing episode! 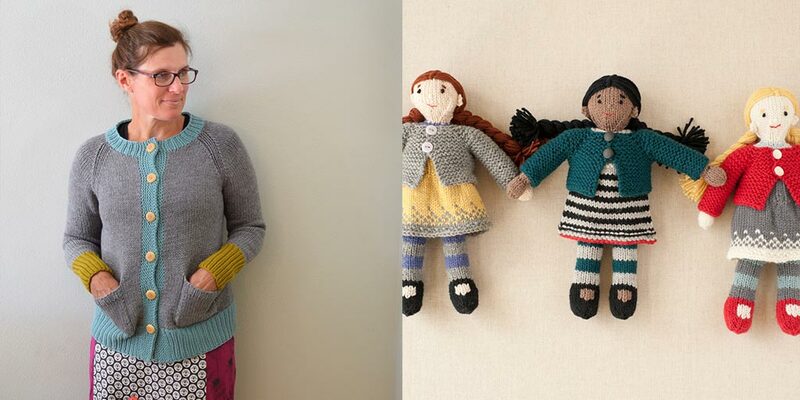 So inspiring to hear of Susan’s start to present knitting adventure! Thanks so much! Looking forward to this episode! Can’t wait to listen to Susan B Anderson while working on my current knit project, which by coincidence, is using Quince & Co yarn. 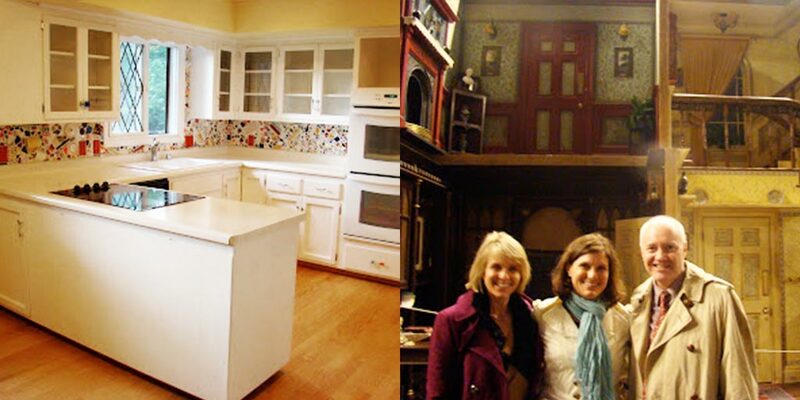 Carol and Susan are two of my favorite designers! I have many of each designer’s patterns and I would love to win the Dancing Bears Kit! Ashley – your podcasts get better and better. Keep up the amazing work. Can’t wait to listen to this tonight after I put the kids to bed! What a wonderful episode! I liked hearing about how Susan put herself out there to get her first book. It seems like a courageous thing to do ! This was a great episode! 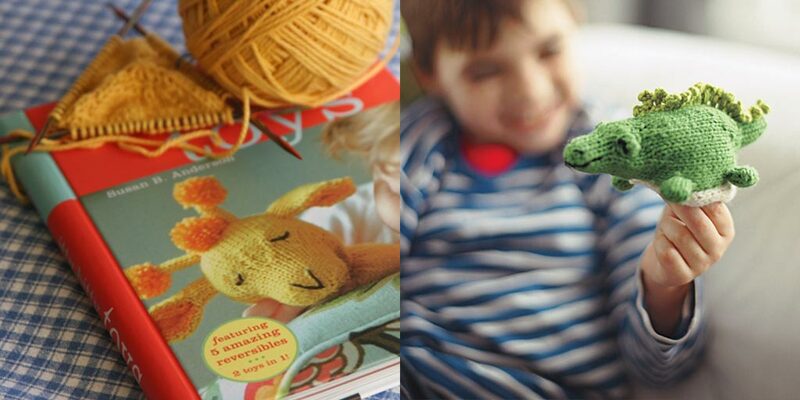 The only toy I’ve ever knit was one of Susan’s patterns and it holds a special place in my knitting memories. Thanks for bringing up the subject of motherhood and knitting. I have two little boys and struggle to find a balance between the two. 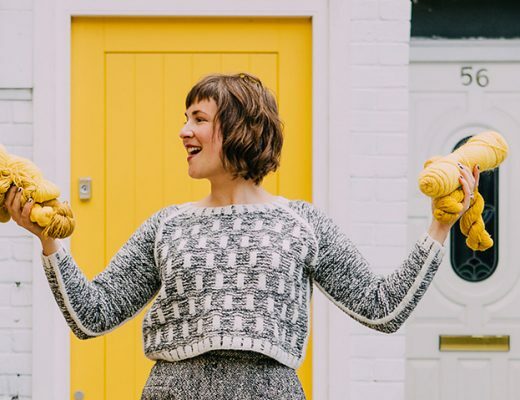 It’s always reassuring to hear about the experiences of other mothers and knitters. I really enjoy the calm tone and style of your podcast. Keep up the great work! I love Susan’s work! Her toys and socks leave me so inspired. Thank you so much for this episode. I was already a huge fan of Susan’s, but listening to her talk about how much of an inspiration her mother was to her made me love her that much more. I love hearing the story behind someone’s work. Susan’s patterns are always so lovely. So enjoyed this interview with Susan!!! 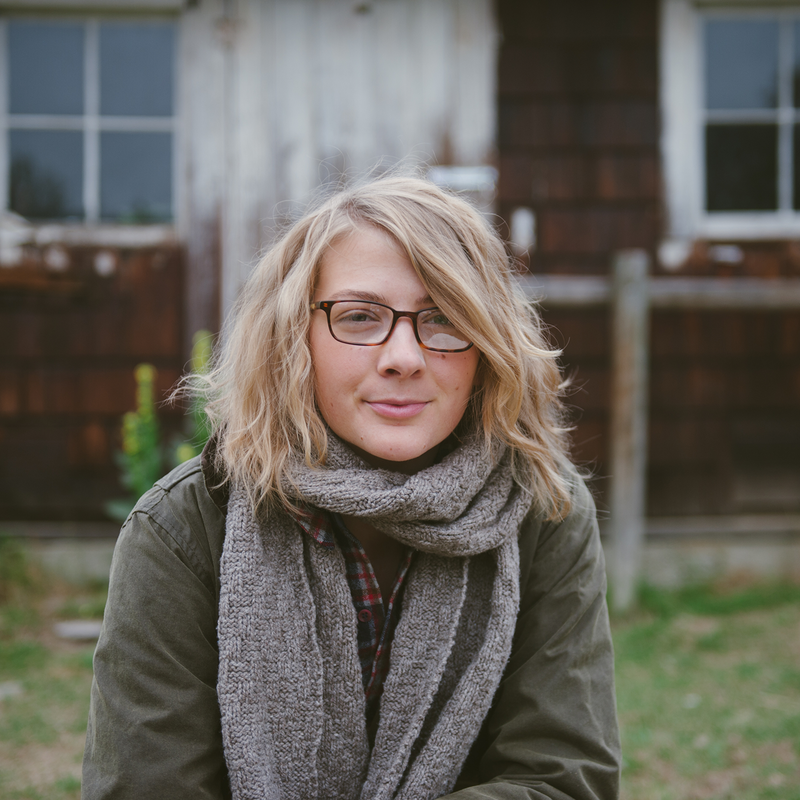 Hope to take a class with her one day.Thanks for the Woolful podcast. Another enjoyable podcast. Loved learning more about Susan B. Anderson. 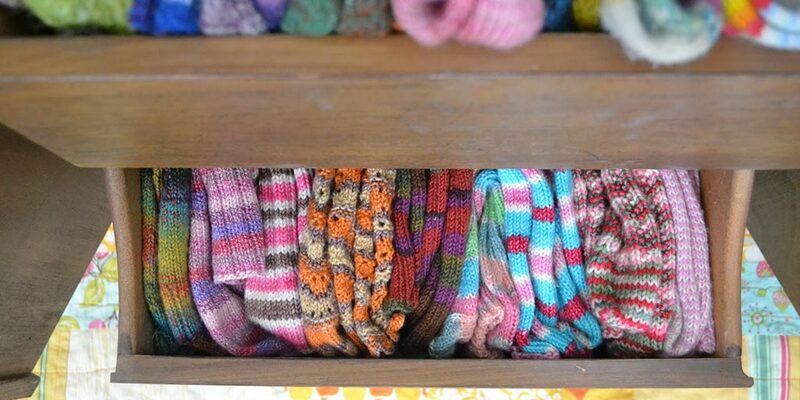 You and so many others give us knitters so much inspiration! Another great podcast! Will be trying to attend my first Knit City this year. Loved the podcast. Being a former Madison resident, it brought back fond memories of my college knitting days. Great patterns!! Love this episode, Susan is a joy to listen to , her enthusiasm for knitting and life is amazing! I love Susan’s patterns, and that shawl is stunning. Loved this podcast. This podcast really encouraged me to continue to knit no matter the mistakes I’ve made in my first year of consistency knitting. I’ve only really made washcloths, scarfs, and little things like that. 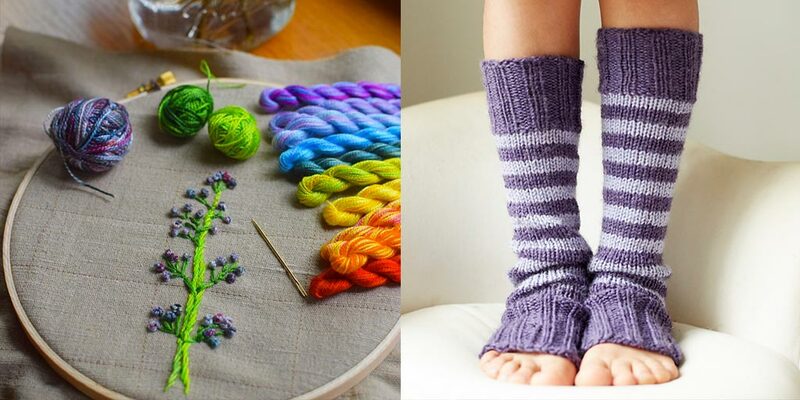 I want to venture into more knitting with things other than cotton. I really want to knit with really nice yarn and maybe I can finally do that. Thank you so much for the podcast. It brings me so much joy to know that though I’m so new to knitting I’m not alone. What a treat to hear her story and be able to connect with such a seemingly down to earth person. Thank you for the give away opportunity! This was such a wonderful interview. I enjoyed every minute. Thank you for the chance to win something so fantastic. Susan’s Itty Bitty Toy Book is still one of our hottest books at Cowgirl Yarn for expectant moms and grandmom’s! Nothing says excitement like a hand knit toy. It was so interesting to hear Susan’s story. Thank you for this great episode. This is my first time listening to your podcast and I am so happy that I found you! I so enjoyed listening to Susan B .Anderson today and found her journey to be both interesting and inspirational! Looking forward to future episodes! Love your cute pattern! The colour combo and pom pom are adorable! I need a couple baby gifts. Plan to purchase Itty Bitty Hats and knit a few. I found your podcast via Alicia Paulson, and I enjoyed it! I really loved this episode! Susan was so genuine and I just loved her story about sending the patterns to the publisher. So great. Thanks for the opportunity! I always love to hear from Susan! Her warmth and passion is always so palpable. Thanks for sharing her with us! Enjoyable listening as always. Lovely shawl pattern too! Thanks. Lucky you getting to speak with Susan! Woot Woot! 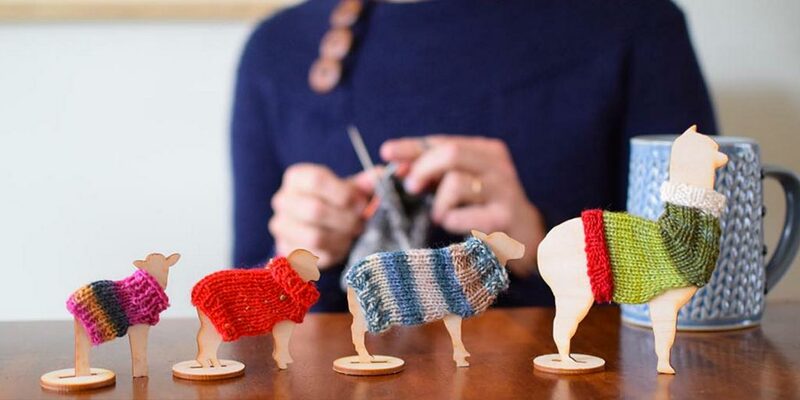 Finally a Wisconsin knitters! Midwest is the best! I want to wrap myself in Dancing with Bears while I knit String Along Toys ! Itty Bitty Hats book is still one of my faves! What a gorgeous shawl pattern! Great giveaway! Very interesting to get acquainted with Susan B Anderson. 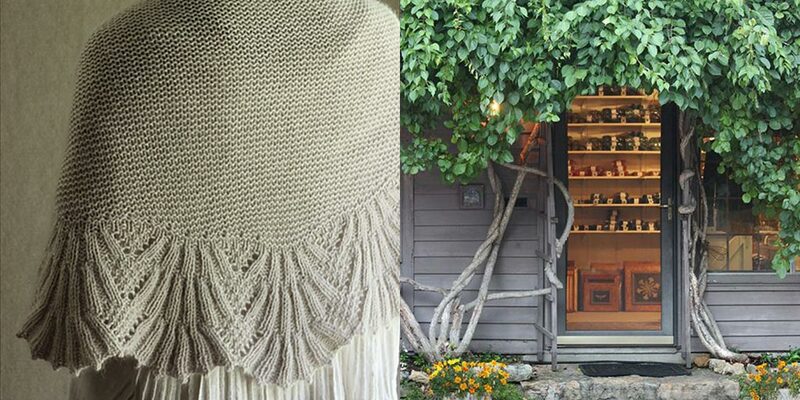 Lucky me, I will be in one of her shawl classes at Knit City in Vancouver! Can’t wait!! How DO you do it? Sorry to gush but this is my favorite podcast of all that I listen to. 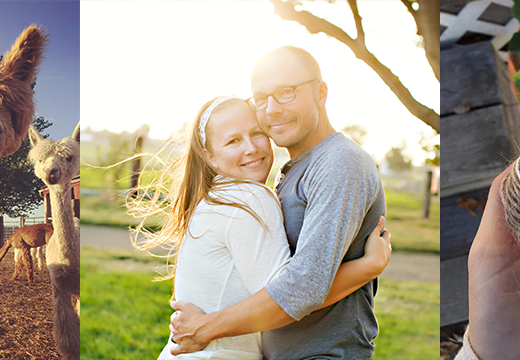 I have learned so much and been inspired in so many different ways by your guests. Can’t wait to listen to this one! Thank you! I love the Dancing with Bears shawl. It is simply beautiful. I especially love it in the soft natural color. It is so feminine. Just delightful. Susan Anderson makes the most adorable toys. I tried making a toy turtle once, but the tiny pieces are just too fiddly for me. My turtle looked like it had elephantitis. I have to stick to bigger items. But I so appreciate her wonderful skills. Awesome giveaway as always! I loved your interview with Susan B Anderson! I wish I was going to Knit City! great episode! love the interview! always look through her bookd and admire! i had to hear susan anderson! i loved it and im now hooked on future podcasts! Loved loved this interview. I’ve been to several of Susan’s classes and she’s a fantastic teacher. Ah! Love her! 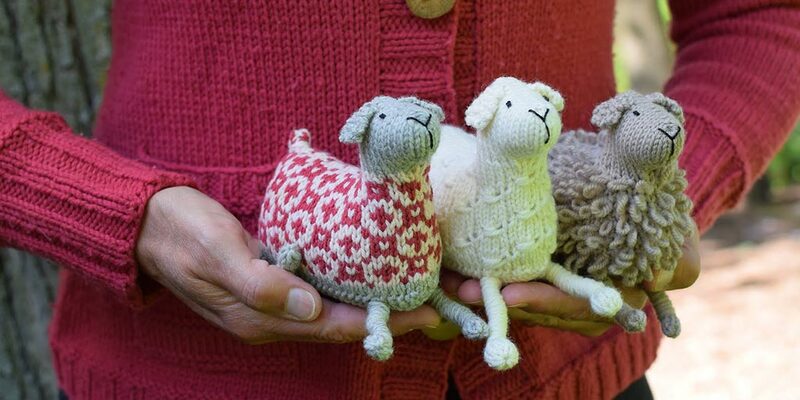 And the new Little Woolens pattern is fantastic! I’m making a second Bracken for my little guy soon – just as soon as I can measure him. 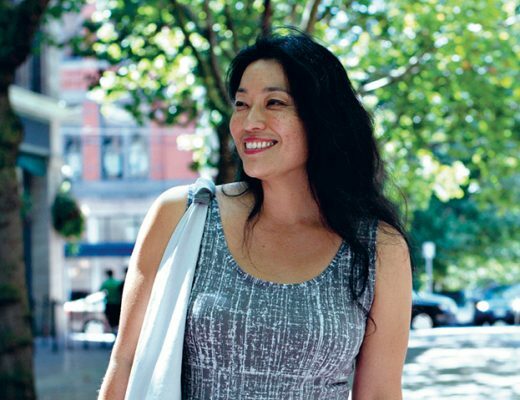 Another interesting telling of how much the knitting world has changed over the past decade. I got my start in knitting around 2005, so some of the history recounted by Susan resonated with me. 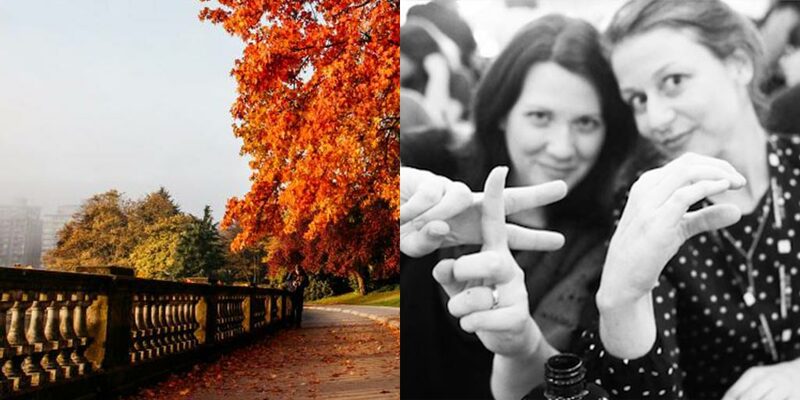 Once again a very inspiring story, the journey knitters take is so fun to listen to! Lovely and exciting episode! Thank you for the interview and the cute new pattern to try in the future. I love Susan B. Anderson! Thanks for having her on your podcast. I loved listening to Susan’s story. She’s one of my favorite designers. Thank you. Great podcast! I love your questions Ashley. Susan mentioned your interview and so I popped over to listen. So glad I did! Really enjoyed the podcast and will look forward to more. The Dancing Bear shawl is stunning and your new hat pattern is precious. Love your website, too! I was super pleased when I saw that Susan B Anderson was the topic of the podcast. She’s one of my favorite knitting celebrities! WOOLFUL is top- notch. Thanks for another great show. I loved hearing about Susan’s fiber adventure and love her spirit. I’m so glad she knits. Enjoyed hearing Susan B Anderson’s story. Would love to knit some of those precious string-along toys. I loved this episode, thanks so much! I used to live in Madison, WI and remember that yarn store perfectly–that’s where I bought the yarn to knit a sweater for my baby. I always refused to knit toys. Then I met Ben &Buddy and it was all downhill from there! 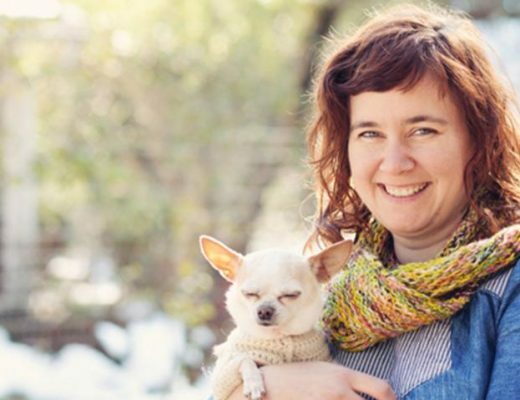 Thank you for another wonderful interview with an amazing icon of our knitting community! My cheeks are sore from smiling so much while listening to this podcast! I recently used one of Susan’s books to lead a youth knitting group- they love the patterns. It was a joy to listen to her stories and I look forward to sharing it with my young knitting group! Itty Bitty Toys was also my first pattern book purchase! I’m so glad you were able to get Susan on the podcast. Thanks to both of you! My favorite episode ever! Love Susan’s story, LOVE all her patterns, thank you! I love Susan’s designs. I have never made little toys but would like the opportunity. Thanks for the great episode and giveaway! I’m very excited to listen to this episode! I love Susan’s designs. Would love to knit it in that gorgeous yarn. Have been following Susan’s podcasts on YouTube for about a month and was lucky enough to take a workshop with her two years ago at the Knitter’s Review retreat. Coincidently I recently ordered a kit for a shawl that came with Sunday Knits Eden yarn…I hadn’t heard of Sunday Knits before but love working with the yarn. Dancing with Bears is so beautiful–I would love to win the kit and pattern! And Susan B Anderson is the best–I love all her patterns but more so her gentle, honest approach to our craft! Great podcast! I too have long admired Susan B Anderson’s work–and Carol Sunday is also one of my knitting heroes! Love your Weston hat–just added it to my favorites! Thank you! I so enjoyed listening to this!